Six-month-old New York-based BetterCloud announced today it raised $2.2 million in a seed round with angel investors and backing from its own CEO David Politis. Software-as-a-service provider BetterCloud focuses on developing security and management software for businesses that use the Google Apps platform. 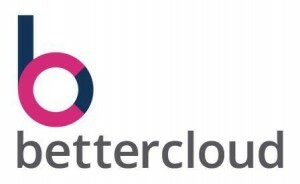 BetterCloud, founded last November, plans to use the funding towards development of its software, new hires, and collaboration with Google Apps resellers and consultants. Politis says he expects to add five more employees to the staff of 12 in the coming months. The company is also preparing to move in early June to larger offices. “We’re almost sitting on top of each other at this point,” he says. Google Apps for Business is cloud-based software that companies can use for e-mail, file sharing, and other enterprise needs. Businesses, Politis says, want one platform to help them monitor their Google Apps-based software, which can come from different sources. “As more companies go with Google, especially larger enterprises, you’re going to see more software developers attracted to the Google Apps ecosystem,” he says. BetterCloud is already working on a new product to ride this trend. The company announced today the beta release for its FlashPanel Google Apps management software. The company released its first product, DomainWatch Google Apps security software, in February.